What is CSS advanced tutorial? CSS advanced is another version of CSS which is used to control the style of a web document in a simple way. CSS stands for "Cascading Style Sheet". 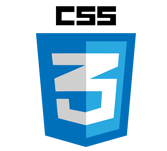 This tutorial discusses about CSS advanced version and its basics to advanced concepts. This tutorial is designed for students as well as professionals who wish to develop their websites or personal blogs in an attractive way. To learn this tutorial one must be familiar with HTML and XHTML to practice CSS advanced.